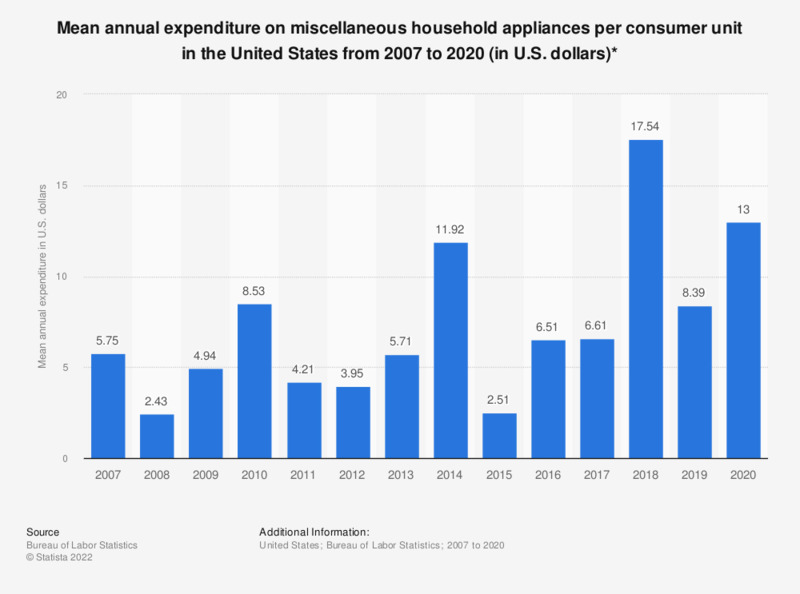 This statistic shows the average annual expenditure on miscellaneous household appliances per consumer unit in the United States from 2007 to 2017. In 2017, the country's average expenditure on miscellaneous household appliances amounted to 6.61 U.S. dollars per consumer unit. Do you own a garden or terrace in your primary or secondary residence?